Every fall (touch wood) I am fortunate to work on a video, or two, or three... for TD Canada Trust. This year, fortunately, is no different. 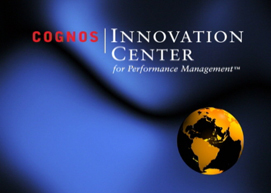 A new Reward & Recognition program will be launched very soon - internally, via a webcast. We created the English and French versions of the video, the web interface, and we hosted the webcast as well. 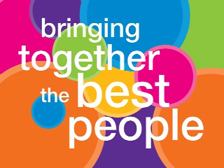 Kind words followed: "The senior mgmt team is just thrilled with the work... I really did have tears in my eyes when I saw the final version.... GREAT JOB!!!" 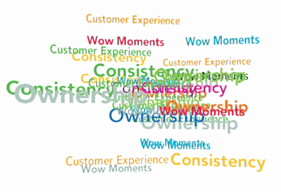 This year's strategy for customers is presented nationally, in a powerful video. "Thank you for the incredible teamwork on this project!!" Just putting the finishing touches on a parody of a much loved commercial. It's part of a national "road show" staged by an executive. 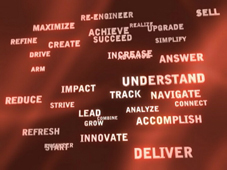 I've been working on a funky, documentary style video promoting a management consultant/motivational speaker. "Love it!! I really appreciate the quick turnaround!" The Best Quality Over the Internet. And the Fastest. Delivering video over the internet is the future of my business, so I’ve made a point of staying on top of all the latest technological developments. First, if you're wondering which format to use to deliver your video content over the internet, it just so happens the good folks at Adobe commissioned just such a study. 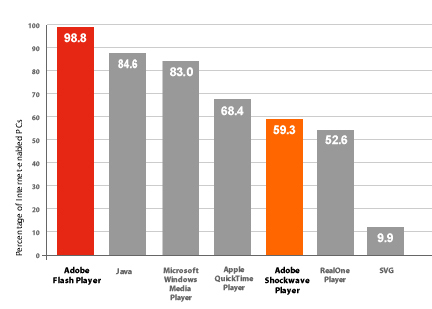 Lo and behold, the study concluded that 98% of the world's Internet-enabled desktops in mature markets already use Adobe® Flash® Player. It seems almost everyone can play a "Flash Video". Second, the way video gets compressed for the internet improves by leaps and bounds each and every year. H.264 is a breakthrough, high definition codec that is just now reaching the mainstream. It offers better quality images (startlingly so, at times), faster start times, and smaller file sizes. With file sizes getting smaller, and picture quality getting better, you can now consider making the size of your image bigger on your web or intranet site, for maximum impact. I’ve recently updated most of the videos on this site to this high quality compression standard so you can see what it looks like. You’ll have to update your flash player to latest and greatest version (if you haven’t already), which you will be given the opportunity to do when you try to play one of them. * My demo reels can be found here. My case studies can be found here. As mentioned above, the “Flash” format does seem to be taking over the internet, lead by the popularity of sites like YouTube (which, hard to believe, only started in 2005). If you still need your videos in Windows Media or QuickTime, it’s no problem. (Or, VHS, CD, DVD, etc., etc., for that matter). The next trend? Video delivered directly to your handheld mobile device. And, it’s already happening. You've likely heard about Apple's iPhone, which makes it easy to download and play "video podcasts", and is already showing great potential. The BlackBerry Curve is also great, utilizing an ultra-bright, 2.5-inch, 320 x 240-pixel display. And, BlackBerry's new "Bold" smartphone device will be out soon, which will boast the most powerful CPU on a handheld so far, enabling full-motion video to run smoothly on its 480-by-320-pixel, 65,000-plus-colour display. * After updating your flash player, you may have to re-open your web browser. 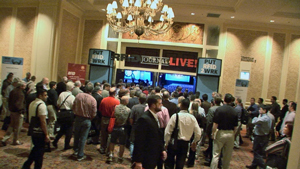 For another show in Las Vegas, I produced a module that opened an awards presentation for customers. After the event, I put together six customized videos, that were sent to each winners' head office. 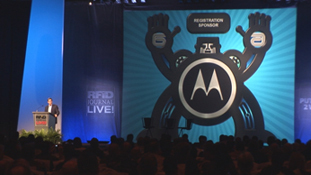 ... created a three screen show that was used as a "Conference Opener" at RFID Journal LIVE! last week in Las Vegas. UPDATE: It is now one of my Case Studies. See it here. I also shot hours of footage at the conference that will be used in a promotional video for future conferences. "Thanks for another great video." While at RFID Journal LIVE! 2008, I shot and later edited a demo of EPCIS technology that EPCglobal was presenting at a special theatre on the exhibit floor. The entertaining demo will show up on their web site.